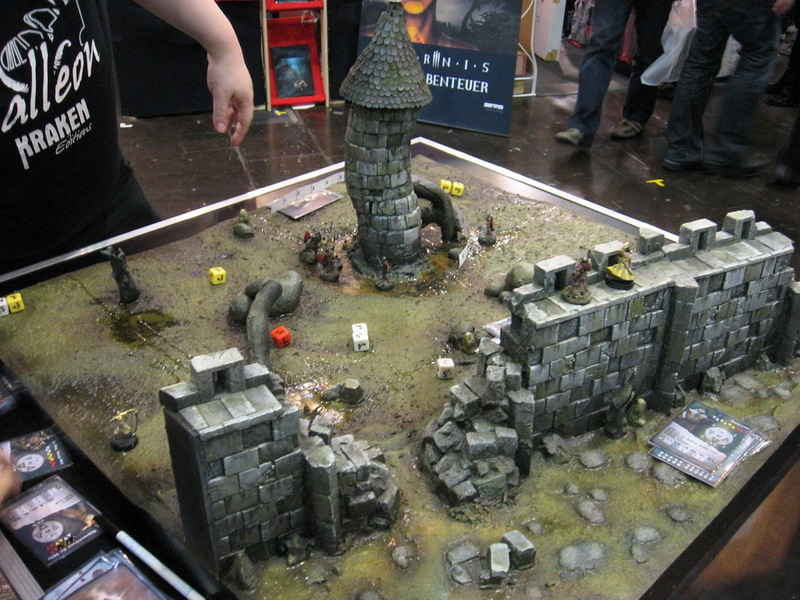 Spiel 2008 took place on 26 October. A great report can be found here. 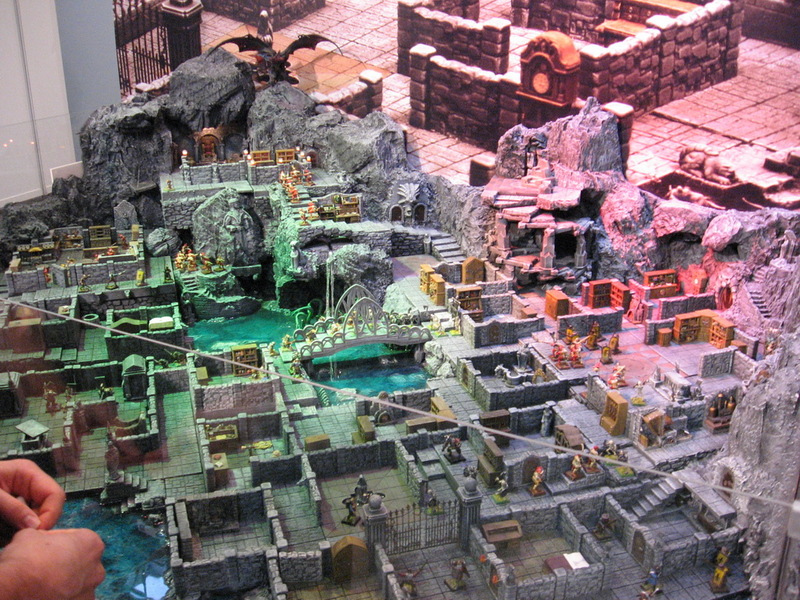 It's in German, but there are plenty of interesting pictures, for example this dungeon by Ziterdes and or those Alkemy demo tables (here and here). Finally I found some time to continue painting the anima figures. First up is Celia. 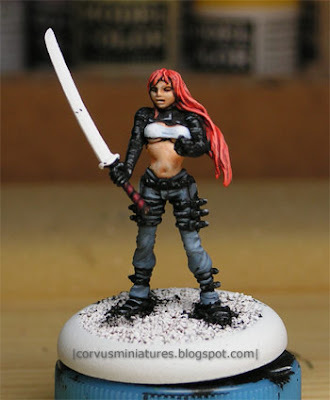 I'm painting her in a similar color scheme as the studio paintjob: jeans, white top and shiny leather jacket. For the hair I decided to do something different to give the figure a more anime-style look. I'm very happy about how she turned out so far. At first I wasn't happy about the highlights on the leather (too bright) so I put on a wash of black ink. When I see it on picture now I think it looks quite good. 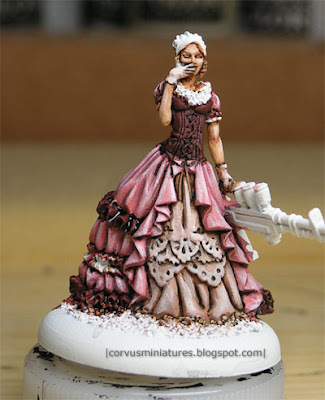 Cordelia is a figure that takes up a lot of time, but at the same time it's very rewarding to paint. I'm going for a pink/beige scheme mainly. Right now I'm working on a secondary colour (orange/brown) for the top and details on the robe. I think I will use yellow for the rest of the details. The third figure of the warband, Kujaku is still in a very early phase. I hope I can show some progress next time I post here. Last week I stumbled upon this article. It describes how to create a cheap lightbox from an empty cardboard box. Bell of Lost Souls has published a good article on the Drop Pod assembly. It covers several common errors that can happen during assembly and provide some tips for painting. Read the article here. Lined up just in front of the paint bottles are the Alkemy figures which are nearly done (basically they only need to be varnished). 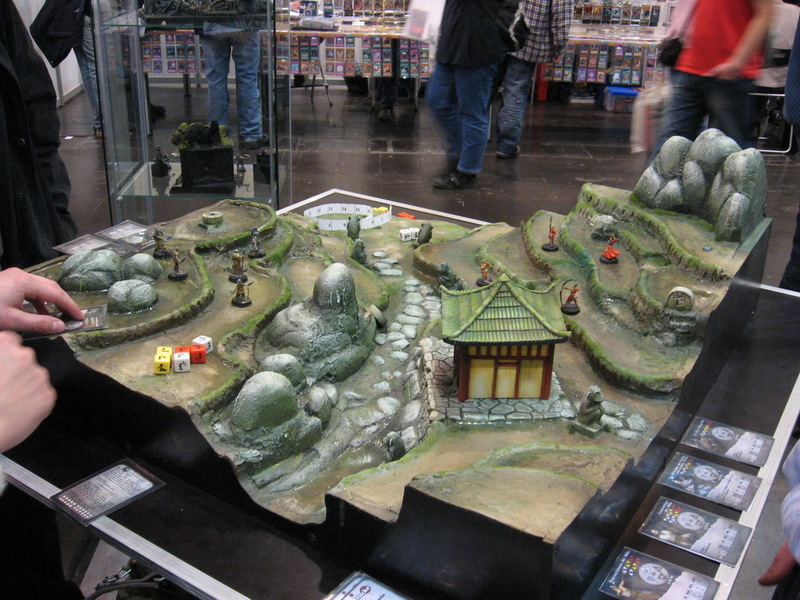 In front of those are the Anima Tactics miniatures you've seen in my previous post. But this shot is dominated by the assembly of 8 tactical marines with heavy weapons. By the time this post is written they are fully assembled. I just started working on a set of three Anima Tactics figures for a customer. The miniatures involved are Cordelia, Celia and Kujaku (sorry about the random links to the pictures, but it seems that Fantasy Flight Games doesn't keep a decent gallery of all their miniatures). The assembly involved some pinning and filling, but nothing special really. 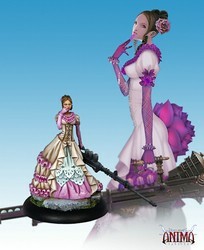 The only problem is that Cordelia has this huge rifle, which is as long as she is tall. The barrel of this gun is quite thin, so the weapon is very fragile. The slightest touch could bend it so I'm very careful not to hit this too much. 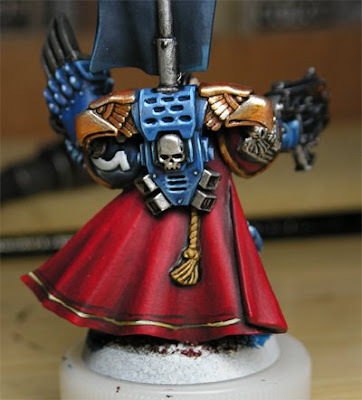 Blue Table Painting has posted this review of the Space Marine Drop Pod on YouTube. 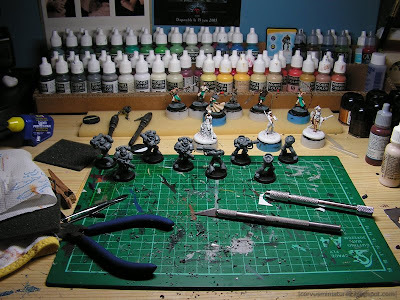 In case you don't know Blue Table Painting: it's a USA-based professional painting studio, run by miniature freak (enthusiast just isn't enough to describe his passion) Shawn Gately, who's also responsible for all the YouTube videos. Posting several videos each week you get to see the inside workings of the studio, clips of finished armies and tips and reviews like the drop pod video. I'm not a huge fan of the studio's painting style, but the general overview of those huge 40k armies (and his other projects) amazes me every time. I'm planning to pick up the new Space Marine Drop Pod kit in the next few weeks. With 89 pieces a project like that can be quite daunting, even for experienced modellers. So I'm sure this step-by-step assembly guide will come in handy for everyone working on a Drop Pod for the first time. Finally finished this guy today. It's not a ground-breaking nor award winning paintjob, but I'm sure he will be a worthy leader of my Space Marine army that's in the making. Didn't get too much painting done over the last week, so here's another selection of CMON goodness for you to keep you busy. Woldwarden by reyzambo - All-round great job on a great sculpt. Eowyn by PrawnPower - This rather simple model keeps getting amazing paintjobs like this one. Fat Boy by DarkEden - Gruesome piece of work. Skink Chieftain by Durham Red - Once again: simple mini, great painting. Kasrkin by emuse - Smooth skintones and okay colorscheme. Ork looted piranha by Paaschburg - Those crazy Ork conversions keep appearing. Trauma-doc by Pandora - Very realistic painting.